Mohsin Hamid weaves a compelling saga of love, loss, identity-crises, immigration, personal and worldly conflicts and much more in his latest book Exit West. Set in “a city swollen by refugees but still mostly at peace, or at least not yet openly at war”, it could be an allegory of any nation such as Pakistan, Libya, Syria, Afghanistan or another, perched precariously at the brink of civil war yet discovering pockets of peaceful life whilst turmoil lurks nearby. The story revolves around the protagonists Saeed and Nadia, and the reader gets instantly drawn into their world when they meet at “an evening class on corporate identity and product branding” and eventually end up having coffee followed by a Chinese dinner and start the process of getting to discover each other. The government’s tolerance of Buddhist extremism and the clergy’s power in Sri Lanka is feeding an unsavoury majoritarianism, and that never bodes well for any country, says Samanth Subramanian, the author of This Divided Island, in this interview with Zafar Anjum. Samanth Subramanian is an Indian journalist and writer. He has an undergraduate degree in journalism from Pennsylvania State University and a Master’s in international relations from Columbia University’s School of International and Public Affairs. He has written, among other publications, for The New Yorker, The New York Times, Mint, Newsweek, the Wall Street Journal, the Boston Globe, the Far Eastern Economic Review, The New Republic, The Huffington Post, Foreign Policy, Foreign Affairs, The National and The Hindu. 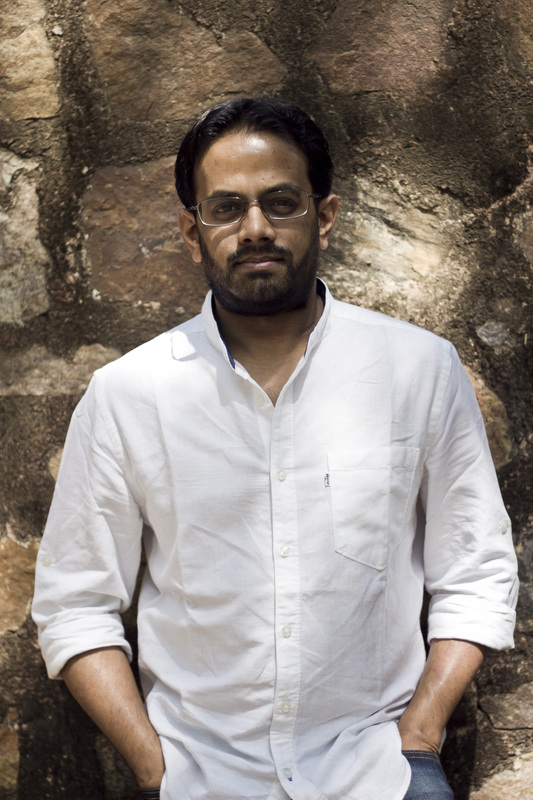 His first book of narrative non-fiction, Following Fish: Travels around the Indian Coast, won the 2010 Shakti Bhatt First Book Prize and was shortlisted for the 2013 Andre Simon Prize. His new book, This Divided Island, traces the aftermath of the war in Sri Lanka and how it is shaping the Sri Lankan society. In your first book (Following Fish: Travels around the Indian Coast), you followed fish. In your second book, the Tigers. What prompted you to pick up this serious subject? Anything else besides the journalistic impulse (as you mentioned in an interview with The Hindu)? The journalistic impulse was, I have to admit, the strongest motivating factor – but even that journalistic impulse is really just plain, simple curiosity. I was curious about the changes that a three-decade war can wreak upon the psyche of an individual or a country, and about the texture of life during such a long war. It helped immensely, of course, that I’m Tamil, and that I’ve been following the war with varying degrees of interest for nearly two decades now; I speak Tamil, and Sri Lanka is right next door. I’d have been similarly curious about a war in faraway Somalia, say, but it would have been far more difficult for me to write a book from there. Harris Khalique: Let’s start the conversation from 1914 as the world is marking 100 years to the start of World War I this year. However, it is important to note that there is also a lot of literature about 1857’s war of independence and that a lot happened between 1857 and 1914. We have memoirs of people who were sent to Kala Pani, for instance. Elegies and stories were written, as well as non-fiction. But we will start our discussion from 1914 and look at poetry and prose, fiction as well as non-fiction, including creative non-fiction, such as autobiographies and memoirs. We will try to look at regional as well as international events in the last 100 years and their impact on Urdu literature.